1. In a non-stick saucepan saute the peppers and mushrooms with a pinch of salt for 5-6min and keep it aside. 3. Place a non-stick griddle on medium/low-med heat. Brush the bottom of the naan with EVOO and place it on the pan. 4. 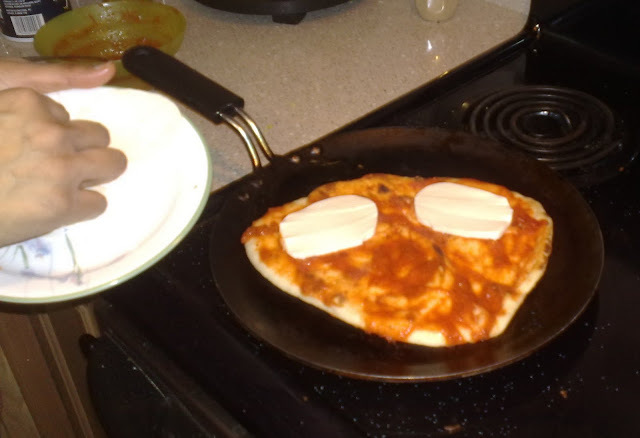 Spread the sauce on the naan evenly and arrange cheese slices to cover the naan. 5. 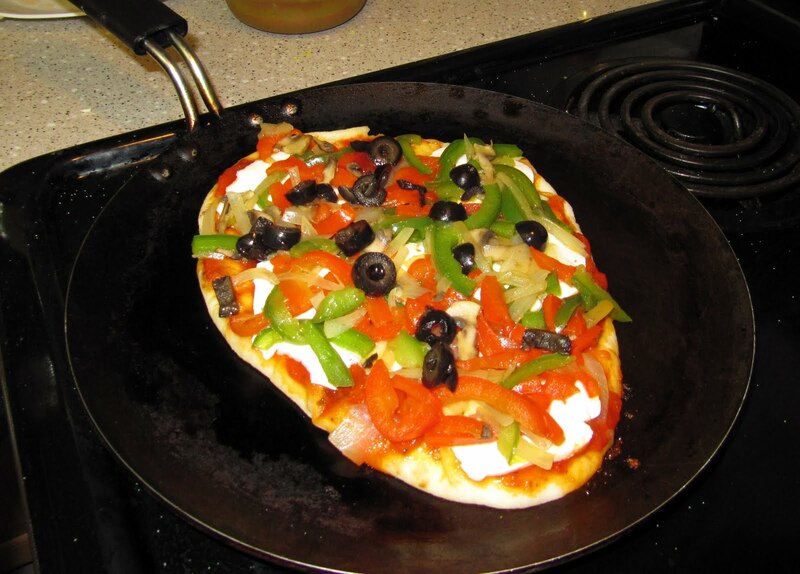 Spread the sauteed vegetables and sliced olives evenly over the cheese and drizzle a little bit of EVOO. 6. Allow the naan to grill for at least 5-min or until the cheese melts and the bottom is browned evenly. 7. Voila! Your personal pan pizza is ready to enjoy. Slide the pizza into a plate and sprinkle with Parmesan cheese for added flavor. It's great for parties of all sizes. ***Other toppings include: canned or fresh pineapple pieces and olives, shredded grilled chicken (for meat lovers), or even leftover veg. curry. Also try using hummus instead of pasta sauce for a Mediterranean taste). How do you eat your naan pizza? Please share your ideas? My mom went to the grocery store the other day and saw that Deep foods has come up with their own version of our Indian Pizza. So I guess everyone is slowly catching up with the idea. You know, if you don't want to go buy vegetables for the pizza, you can also use any vegetable curry you have in your fridge. 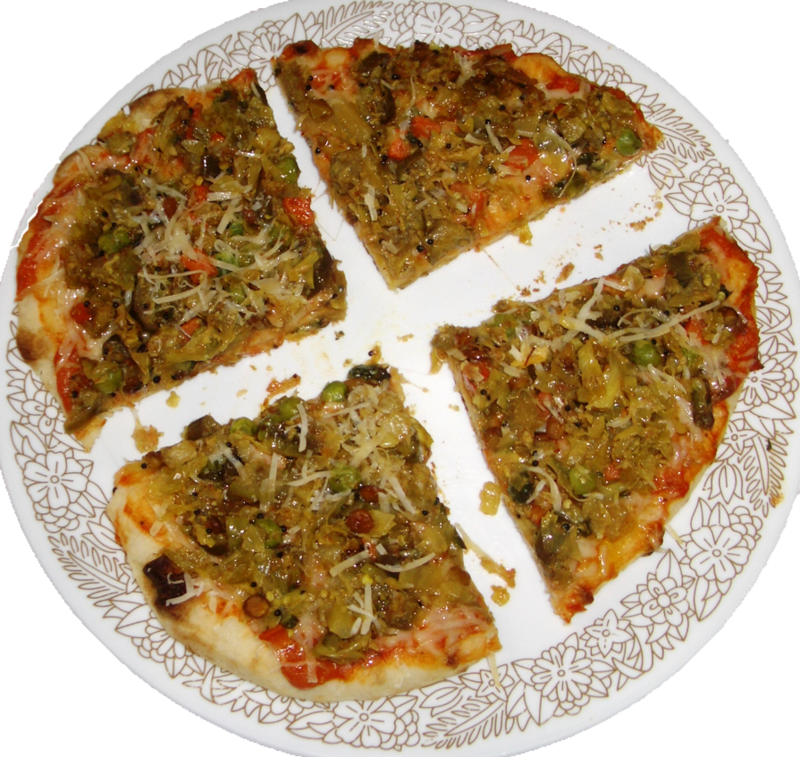 I just ate cabbage curry pizza with Parmesan cheese. It was so Delish. Also, if you don't buy cheese, use cheese singles. For my pizza which I made today, I used Vodka Spaghetti sauce. Awesome ...very detailed instructions...I loved your website ! 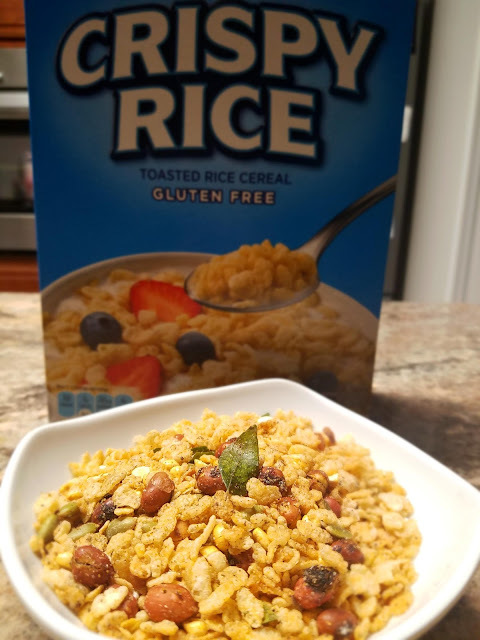 Awesome recipe, tried it with salsa instead of pasta sauce...added a nice kick to the whole dish. nice one, Avaneesh. We have tried hummus as the sauce base and added vegetables and cheese afterwards. It came out pretty good. It's all about experimenting with various flavors. They are very tasty as compared to chain pizza places. 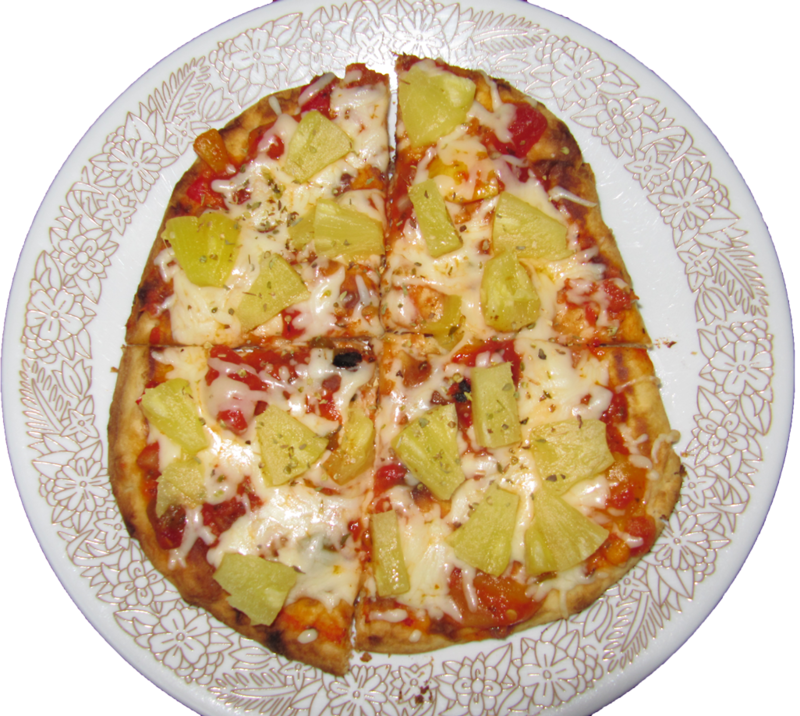 Using naan/pocketless pita as the pizza base is a cool idea for making personalized pizzas at home regardless of where you live. I like that we can use local or seasonal vegetables as the toppings.